Who isn’t looking for easy ways to get fit for a summer party or vacation? Anyone…? For me, the simpler, the better. So, with less than a month to go before my summer vacation, I’m trying these 6 nearly effortless, sneaky ways to burn more calories*. Workout clothes are not required! 1. Do your own yard work. Tell the teenage kid from down the street that you’ll mow your own lawn—and pay him to make some iced tea instead. 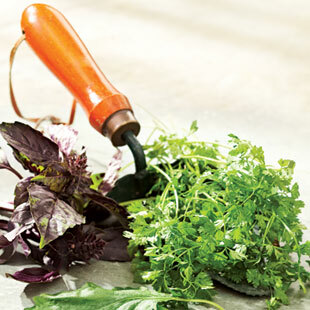 While you’re at it, weed the vegetable garden and toss some new mulch around the perennials out front. An hour outside spent mowing and gardening will burn about 300 calories. 2. Multitask and do crunches while watching TV. Don’t let the “I don’t have enough time” excuse get in the way of burning calories. Make the most of your TV time by doing crunches during commercial breaks. A 30-minute show has about 23 minutes of programming and 7 minutes of commercials (possibly as many as 12). You’ll burn 30 calories in 7 minutes of crunches. OK, that might not sound like a lot, but you’d only burn 8 watching the commercials. Over time, those calories add up. Embrace the summer heat—with a hose: make your car look beautiful as you wash, dry and get it (and you) buff. You’ll burn around 140 calories in 30 minutes. 4. Incorporate activity into your vacation or business trip. The next time you plan a trip, think about how you can work in some pleasurable activity. I’ll be walking the beach each morning and/or evening of my vacation. Walking briskly for an hour burns around 370 calories. Because that might not apply for where you’re headed, here are some other ideas: Book a walking or bike tour (60 minutes, 412 calories) to introduce you to your destination—or use your vacation to try a new sport you’ve always wondered about, like sea kayaking (30 minutes, 160 calories). Amble downtown from your hotel, rather than taking a taxi. Choose entertainment options that keep you moving, like playing mini golf or bowling rather than watching a movie. 5. Use the “5 & 10” rule for escalators and elevators. I take the stairs if I only need to go up five floors or less or down 10 floors or less. If it takes you, say, 2 minutes to walk up 5 flights of stairs, you’d burn 17 calories. If you spent those same 2 minutes standing in an elevator—only 3 calories. 6. “Change classes” at work. Remember how when you were in school you changed classes every hour? Now when you’re at work, every hour or so, take four minutes to walk around—a bathroom break, visiting a colleague, a walk to the water cooler. A leisurely 4-minute stroll up and down the hall will burn 12 calories. That’s nearly 100 calories if you moved each hour of an 8-hour workday. *Calories burned are based on a 140-pound person.